The Emir of Katsina, Abdulmumini Kabir, has called on individuals calling for secession to shelve the idea, stressing that Nigeria must remain undivided. 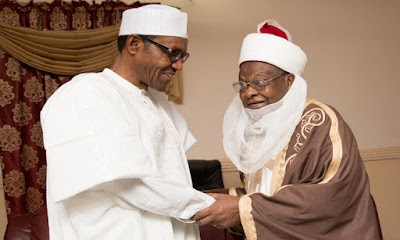 Speaking when the Pro-Chancellor of the University of Ilorin, Abdullah Oyekan, paid him a visit at his palace in Katsina, Kabir said that Hausa, Yoruba, Igbo and other tribes are brothers. The Emir noted that although the situation of the country was serious, break-up wasn’t the solution. Kabir stated that the renewed agitation was caused by agents of disunity, especially those who do not want the present administration to succeed. ”This country must remain one indivisible sovereignty that it has been since time immemorial. ”Igbos, Yorubas, Hausas and other tribes in the country – we are all brothers and sisters and we must be wary of these unscrupulous people,” he said.